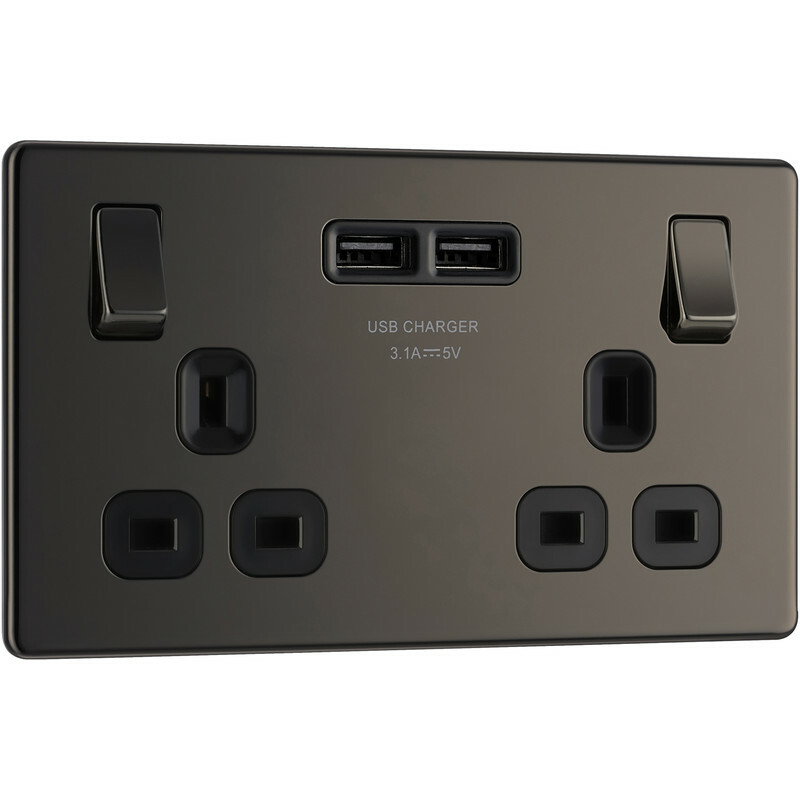 BG Screwless Flat Plate Black Nickel 13A SP USB Switch Socket 2 Gang is rated 3.7 out of 5 by 3. Rated 1 out of 5 by Morj from Kept tripping my mcb Unfortunately I had to return this socket as it kept tripping out my MCB. The front plate is also a little tricky to remove. Definitely need at least 35mm black box and live and neutral are closely adjacent which I don't like, as can't spread out the cabling. Also the switch gets covered by the plug when inserted, overall poor design although it does look like a nice finish.